I went to my endocrinologist because I was having a lot of aches, stiff muscles in the morning and headaches that my other doctor could not explain- including depression, IBS and Fatigue. My endocrinologist did some tests and it turns out my Vitamin D levels were down. Right now I am on 50,000IU twice a week for three month and then she will check me again. My question is when am i suppose to start to feel less fatigue? I do not feel any different than when I first when to the doctor. Yes, Vitamin D Deficiency Fatigue is a real thing. But it sounds like you have a LOT of health problems going on. And while I am SO glad that you found out that you have Vitamin D Deficiency and I think that it will likely help you to feel better, it will not be a cure-all. Vitamin D is NOT a magic elixir that will fix all of your problems. Hopefully, it WILL help with your fatigue and help with some of your aches and pains, but Vitamin D Deficiency is not likely to have been the entire cause of your IBS, nor for the problems that you are already seeing an endocrinologist for. Because of the problems that western medicine works well for, we have been taught to look for ONE single problem with ONE single solution. And while this works GREAT for a broken arm, it works less well for chronic health problems. And I hate to tell you, Lisette, that you are very likely to have SEVERAL different problems all working to make you not feel so well. The bad news is that its unlikely that your doctors are looking for these problems. The good news is that you are here and you CAN find the answers! Can begin to decrease the inflammation that is causing your IBS, damaging your intestinal tract and decreasing your ability to absorb nutrients. This is a start and could go a long way to make you begin to feel better. Lissette, you are going to need some help with all of these changes, so I recommend that you get some help. 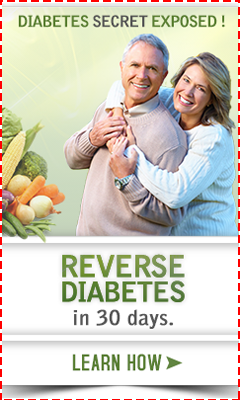 A good starting point for this help is to follow the instructions in The Body Ecology Diet . This will take care of some of the major reasons that you have your problems in the first place, and will help you with a few others. I hope that you take this opportunity to really begin to understand how you can begin to help yourself to get better. Let me know if I can help in any other way, Lissette. Update: I have now been on 100,000 of Vit. D per week for 6 weeks and my neighbor asked me yesterday what else I was on. I have been getting my yard in ship shape and spreading bark dust. My garden is doing great and no weeds. I still have some days that are not so good. It's like I use up all the Vitamin D and have to settle down and regroup. That means sitting in my rocking chair asleep. I go in next month for a Vitamin D test to see where I am. The last test I had was the last of March and it was 59 ng. My family Dr. felt this was ok and to drop back to 2000 IUs per day. I could not function on that and my Endocrinologist gave me the new prescription. I just wish everyone could get the results that I have. I still have pain but it has gone from a 7 or 8 down to a 3 or 4 and I can live with that. You may do a lot better on NON-prescription vitamin D3 instead. 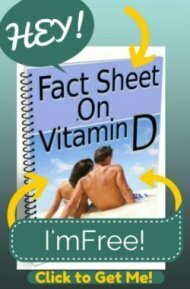 Prescription Vitamin D has a MUCH shorter half life, meaning that it's effects WEAR OFF quicker than Vitamin D3. You might be interested in reading the article, The Case AGAINST Vitamin D 2 as a Supplement. You may want to print this out and take it to your doctor to see if they will give you Vitamin D3 instead, especially when you feel like you run through it quickly. You probably are because the half life of your Prescription Vitamin D is so short!